At CYC Landscaping we are a small company with big expectations. We understand that our customers are our livelihood and we strive to have outstanding customer service and to provide an exceptional landscape design and installation experience. CYC Landscaping is a full service landscape company, offering professionalism and expertise from initial contact to completion of your landscaping project. We will keep you informed during each step of your project to ensure that we are on the same page at all times. At CYC Landscaping we take pride in our work therefore we believe in educating our staff in all aspects of Landscape Design and installation. We are members with the Association for Professional Landscape Designers (APLD), we are ICPI (Interlocking Concrete Pavement Institute) certified and we have our Master Gardener Certification and we have a certified arborist on staff to name just a few. Our professional landscape designers will create a layout designed to fit your needs. Whether you are looking to create a place to relax and entertain or a nice area for the kids and pets to play, CYC Landscaping will give you a yard to be proud of. With one of the best warranties in the industry you can be guaranteed that we use only quality materials and trained installers. Using the correct equipment for the job and training our installers properly, ensures your work is done right the first time, and allows us to finish your job in a timely manner. CYC Landscaping is licensed, bonded and insured. You can relax with the peace of mind knowing that you can trust CYC Landscaping to do a great job on your project. We cover ugly concrete on driveways, patios, garage floors, walkways, and interior flooring with Sierra Stone and Rubber Stone. 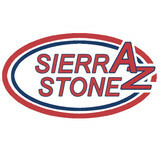 Sierra Stone & Rubber Stone have been Covering Ugly Concrete and proving durability throughout North America for more than a quarter century. These products withstand the harshness of the unforgiving heat of Phoenix sunshine and offers durability, versatility and beauty. Whatever the conditions, Sierra Stone and Rubber Stone are strong enough to stand up to weather extremes without compromising elegant beauty. These products also add value to your property and save you demolition costs and the expense of pouring new concrete. Where it differs is in its texture—Rubber Stone is flexible and has a softer touch. This creates a cushioning effect to minimize the effects of impact and fatigue from standing, walking, running, and playing on this surface. Why replace when you can make it look better and save money by covering it? Call today! 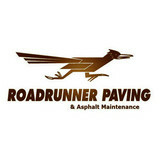 Founded in 1979, Roadrunner Paving is a locally owned and operated asphalt construction and maintenance company that performs both residential and commercial paving work and repair. Owned by second generation paver David Slade, they bring years of knowledge and experience to any project they work on, from the largest construction, to the smallest repairs. 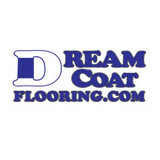 Dreamcoat Flooring is quite popular for good quality concrete coatings. Their services include Initial NO cost, NO obligation survey of your space complete with estimate of project costs, highly detailed surface preparation, completion of any repairs necessary for concrete surface to ensure proper bonding of materials. Also, application of top of the line and high design epoxy flooring in Phoenix. etc. Pavers and More LLC is dedicated to offering the highest quality paver installation at the best price. I have personally been designing and installing complete landscapes in the valley for over 20 years. I came to the decision to specialize in one aspect of landscape install so that I could offer top notch service at a unbeatable price. Our craftsman do nothing but install pavers and that experience shows. Welcome to Camelback Paving, Inc! You don't survive in business without making your customers happy. And we have been in business for 30 years. It is no accident, nor is it luck. We got here by offering our clients exceptional customer service. We bring decades of experience in all paving and asphalt projects and a suburb reputation for professionalism and quality workmanship. Camelback Paving wants to handle your next project. It doesn't matter how big or small. If it is a walkway or a golf cart path, or an entire city street or parking lot, we come prepared to bring our quality workmanship to each and every job. At Camelback Paving, Inc., we offer more services as our company continues to thrive and grow, and as an extra service, we now offer demolition services. Our Pledge: We know that you have multiple businesses that you can choose to help you with your asphalt project. So why choose us? At Camelback Paving we have a pledge to you as a customer to bring a quality of work that few others can match. Part of it is great communication. We won't start a job unless we know exactly what you want, and then our services are performed by a team with years of experience and professionalism so that we meet all of your needs. Every job is personally supervised by the owner so you can be assured of the owner's personal pledge. Buy Vidalista Professional Tablet exporters - alldaygeneric Incorporation suppliers of vidalista 60mg tablets, Vidalista 60mg Tablet exporter, vidalista 60mg tablets, Vidalista 60mg Tablet Export Company, Vidalista 60mg Tablet Catalog, vidalista 60mg tablets Exporter from USA. Guenther Concrete Inc. started its operations in 1998, offering topnotch concrete services throughout the State of Arizona. We are driven to satisfy every customer with quality concrete services at reasonable rates. All of our staff and workers are fully trained and experienced utilizing the latest technologies to make sure that all of our projects are done to perfection. Guenther Concrete Inc. can increase your home’s value and aesthetic appeal through our custom concrete services. We can handle any type of concrete project from full slab to decorative finishing. With our combined years of experience in this industry, you can be sure that Guenther Concrete Inc. will complete projects on time and within budget. Whether your project is small or large we would love to work with you. Give us a call to learn more about our company and our services. Asphalt is one of the most important products on any property, creating gorgeous driveways, beautiful parking lots, and carefully crafted roads. Pavement creates an immediate first impression, serving the success or failure of your image. A tattered, worn parking lot makes a negative statement, putting any business at a disadvantage. On the other hand, a parking lot with new, pristine pavement can instill confidence in your consumers, creating an amazing look, no matter your industry. We're a small local business, not a big national chain, which means that we do things a little differently. It's our promise to you to secure the results you want, with the resources to make it happen. We'll be here every step of the way to keep you happy and coming back, year after year. With over 30 years of success under our belts, we know what it takes to ensure your pavement looks its best under any circumstances. We promise to keep our costs low, saving you money on the services you need. We also offer free estimates, giving you the freedom to see what we can offer before you have to pick up your checkbook. When you call Cactus Asphalt, you can be sure you're choosing asphalt paving you can trust. Request a free quote today! With more than 22 years of industry experience under his own tool belt, company owner and founder Dickerson sets high standards for his 17-member company team – and team members continuously meet them. Those high standards have never wavered throughout the company’s nearly 14-year history, with each company manager and officer offering a depth and breadth of industry experience, skills and knowledge. Arizona Paving and Maintenance is large enough to fulfill the myriad needs of its commercial clients yet remains personal enough to provide the individualized attention each client deserves. Each manager of our Arizona Paving and Maintenance team has an average of more than 20 years industry experience, with a combined total of more than 200 years of skills and hands-on involvement with paving. Our client list includes parking lot projects for the Arizona State Capital building in Phoenix, dozens of Bank of America locations throughout the state, truck stops, churches, as well as homeowner association street projects that have included some as large as almost 2 million square feet. Located in the greater Phoenix region, Arizona Paving and Maintenance provides services throughout the entire state, meeting not only the needs of all its clients but also achieving the overall goal Dickerson set when he first founded the company. For over 40 years Temcon Concrete has provided reliable professional concrete services throughout the greater Phoenix area. We are dedicated to providing quality concrete construction and concrete repair of concrete curbs, gutters, sidewalks, catch basins, box culverts and other street related concrete structures to our customers. We also can perform concrete removal for any construction site. Temcon is a family-owned, privately held corporation whose goals are to be viewed by its customers as an outstanding vendor, by its employees as a great place to work, and by the community as a good corporate citizen. Our dedicated foreman are long time employees averaging over 15 years of experience, assuring our customers the quality they expect. Calvary Paving & Grading, LLC prides itself on being the go-to choice for clients looking for Paving, Asphalt and Sealcoating services. Our business is our livelihood but it is also so much more. Calvary Paving & Grading, LLC was started to fill in a void in the current market and to make a business that people can place their trust in. Over the years we have never lost our commitment to our clients and that is what has allowed us to succeed in a very competitive industry. The employees of Calvary Paving & Grading, LLC stand committed to our purpose and will provide the best service! We are a premier,Valley Wide, excavating company. Specializing in all Phases of Excavating. 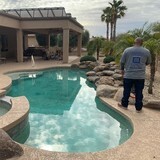 Pool Filling, Shore Line Replacement Septic Tanks, Asphalt and Concrete Removal.Peoria AZ Phoenix-Valley Wide. Licensed and Bonded. Homeowners in Phoenix often don’t realize just how important a driveway is when it comes to curb appeal; it’s one of the first things guests see when they arrive and one of the last when they leave. So if your front drive is damaged or you want to switch from, say, a gravel driveway to an asphalt one, hire a Phoenix, AZ driveway installation and maintenance professional to help you create your dream driveway. From installation to repair, Phoenix, AZ driveway contractors are responsible for a variety of planning, installation, construction and driveway maintenance services. Driveway installation. Before work begins on a new or replacement driveway, your professional should create plans based on your needs and material choices, as well as your property grade, soil and other Arizona landscape factors. When it comes to the actual driveway construction, driveway contractors are responsible for preparing the site, obtaining the necessary materials, making sure a strong foundation is laid, operating equipment and heavy machinery, and cleaning up the site afterwards. Driveway materials. While most driveway contractors in Phoenix, AZ primarily work with asphalt, they are also experts on the wide range of available driveway materials. If you are looking for something different than a standard asphalt driveway, your pro can help you select driveway pavers or customize a brick driveway design. A driveway installation and maintenance professional may work closely with a Phoenix, AZ builder, landscape professional or various manufacturers and suppliers. Find a Phoenix, AZ driveway installation and maintenance professional on Houzz. Narrow your search in the Professionals section of the website to Phoenix, AZ driveway installation and maintenance. You may also look through Phoenix, AZ photos to find examples of driveways that you like, then contact the professional or contractor who worked on them.